Rocky Mountain Eye Center always appreciates feedback from our valued patients. To date, we’re thrilled to have collected 53 reviews with an average rating of 4.92 out of 5 stars. 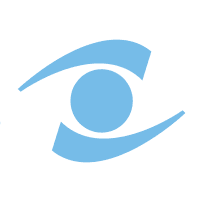 Please read what others are saying about Rocky Mountain Eye Center below, and as always, we would love to collect your feedback. My visit was pleasant enough. I didn't have a long reception wait time. The physician's aid took me back to the exam room and was polite about my pre-exam interview. Dr. Everingham was very professional and thorough in examining my vision. Dr K. was patient and attentive to my concerns and questions. DR.Furlong did a great job on my eyes.I want to thank him. Dr. Babcock was thorough and treated me like I was his only patient just like he always does. This was a lifechanging event for me. I had seen another ophthalmologist 5 times between end of 2017 and throughout 2018 and never was tested for glaucoma. Jan. 2018 I was thankfully pointed in the direction of Rocky Mtn. Eye Center and was welcomed by Dr. Roger Furlong. He immediately reviewed my inhouse testing and set out a plan to manage my glaucoma, which was progressing due to the oversight of the former ophthalmologist I saw in Hamilton, my hometown. He shined in his skillful, professional manner of explaining my situation and what needed to be done to keep managing my glaucoma. I felt like I had fallen in the arms of a loving family member who cared about me, my vision, and my future. He is the absolute best ophthalmologist I have seen; I had a good eye doctor in Coeur d'Alene, ID for years but did not show glaucoma at that time. Dr. Furlong is so scientific yet so human. He answers any question, explains the need for the suggested procedure you require for your own situation and is always available and never hurries you; he establishes a two-way relationship with you - he is so very giving and accepting of all people. He manages your eye care with such grace and knowledge; you feel the presence of his ability to do so. While being so excelled in his field it is refreshing to know he also has a great sense of humor. All of the above-mentioned qualities make for the perfect union of doctor-patient relationships. Thank you Dr. Furlong, for taking the time and making the effort to include me in your professional life. Everyone was great and things went smooth.very nice people. My condition was explained very carefully granting me the opportunity to make an informed decision at that moment. Dr. Larsen is and always has been very thorough and informative in his exams with me. He makes it an enjoyable experience instead of one that i would dread. He has so much knowledge that he can share with me in a way that i totally can understand. I would highly recommend him. Dr. Rachel and staff were fantastic with my 4 year old at her first eye appointment. They were patient, explained everything, and made her comfortable with the process. Had to be seen right away, and your office stayed late to see me! You made an appt for me with your office in Missoula too! Excellent care , and very thorough! Thank you so much! !